The newly-restored Linbury Theatre at the Royal Opera House is currently playing host to a very special production. 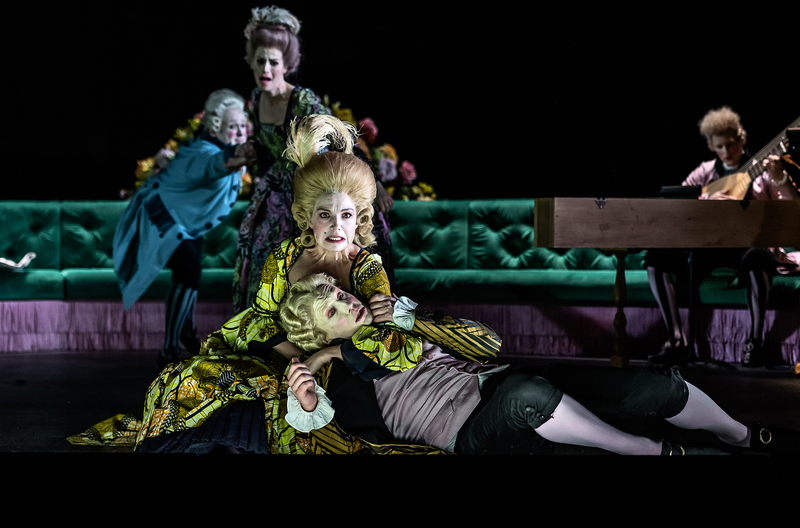 It isn’t often that you get to see Baroque operas performed on the same site where they were premiered, but that’s the case here with Handel’s 1737 opera Berenice, a feast of love, jealousy and political ambition set in Roman-era Egypt. 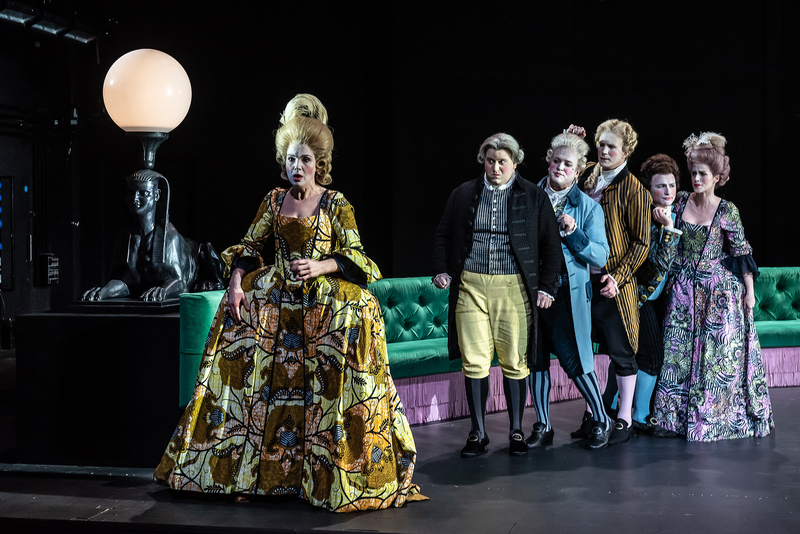 Sumptuously costumed in 18th-century gowns, wigs and frock coats, an excellent cast plunges into this tale with enormous gusto, under the expert baton of Laurence Cummings, directing the London Handel Orchestra. 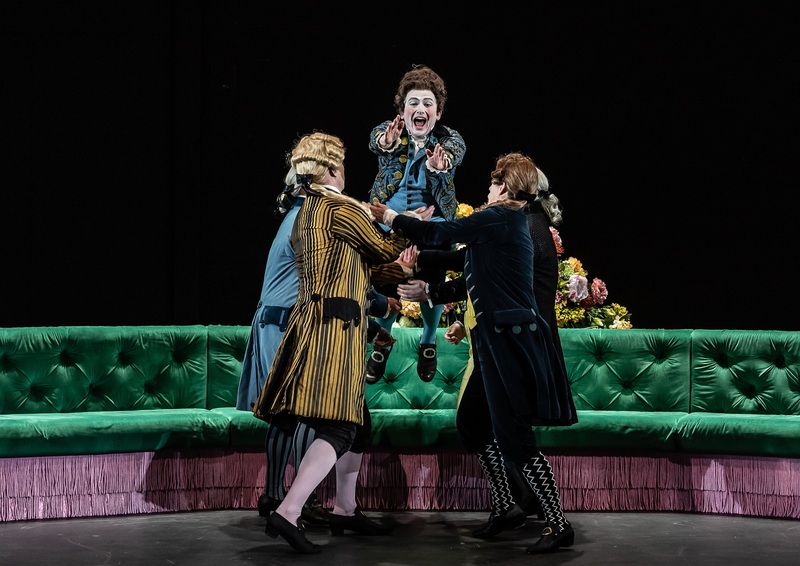 Vivid, exuberant and presented in a perfectly-pitched English translation, this is easily the most fun I’ve had in a theatre since last year’s Giulio Cesare at Glyndebourne. Baroque heaven. Berenice (Claire Booth) is queen of Egypt. This means that she has become a magnet for suitors hoping to gain not only her heart but (more prosaically) the throne of a great kingdom. The newest arrival is Fabio (Alessandro Fisher), a representative of Rome, who comes bringing the Senate’s choice for Berenice’s consort: the young and noble Alessandro (Jacquelyn Stucker). Unfortunately, Berenice’s heart is already taken: she is infatuated with Demetrio, Prince of Macedonia (James Laing). Even more unfortunately, Demetrio doesn’t return her feelings: he is in love with Berenice’s sister Selene (Rachael Lloyd) and his passion is very much reciprocated. For obvious reasons, though, they’re keeping their love secret, so as to avoid stirring up Berenice’s fury. It isn’t clear whether Selene fully understands that Demetrio is also plotting with King Mithridates of Pontus to bring down Berenice and install Selene on the throne in her stead. In any case, events are in danger of outpacing anyone’s plots. Berenice isn’t a fool and she knows perfectly well that Selene has her eye on Demetrio. The best solution is to get her sister out of the way, so Berenice approaches the bumbling nobleman Arsace (Patrick Terry), who nurses a hopeless crush on the aloof Selene. Berenice offers him the chance to finally have his beloved for his wife… without properly consulting Selene who, when offered marriage by her beaming sister, misunderstands the situation and assumes that she’s being given Demetrio as her groom instead. This leads to the necessary Baroque confusion, in which Demetrio thinks that Selene is actually willing to marry Arsace, while Selene bristles at Demetrio’s pantomiming of love for Berenice (in order to keep the queen’s suspicions quiet). In the midst of all this, Fabio and Alessandro look on, conscious that Rome is being sidelined in this romantic struggle – but also aware that, with the clout of the Senate behind them, Berenice can’t afford to ignore them for long. Also on the sidelines is Berenice’s well-meaning chamberlain Aristobolo (William Berger), a rare example of a high-level Baroque official who actually wants the best for his country and is frantically trying to stave off the threat of war. But, when Berenice overhears a fateful conversation between Demetrio and Selene – learning that his love for her, Berenice, is entirely feigned – she snaps. Demetrio is cast into prison for his effrontery in daring to love someone else; and it’s at just this time that Demetrio’s worst fear comes true. A letter arrives for him from Mithridates, updating him on the arrangements for the coup against Berenice… and is intercepted by loyal Aristobolo. Demetrio’s life is on the line in more ways than one. Can he, and Egypt, be saved? 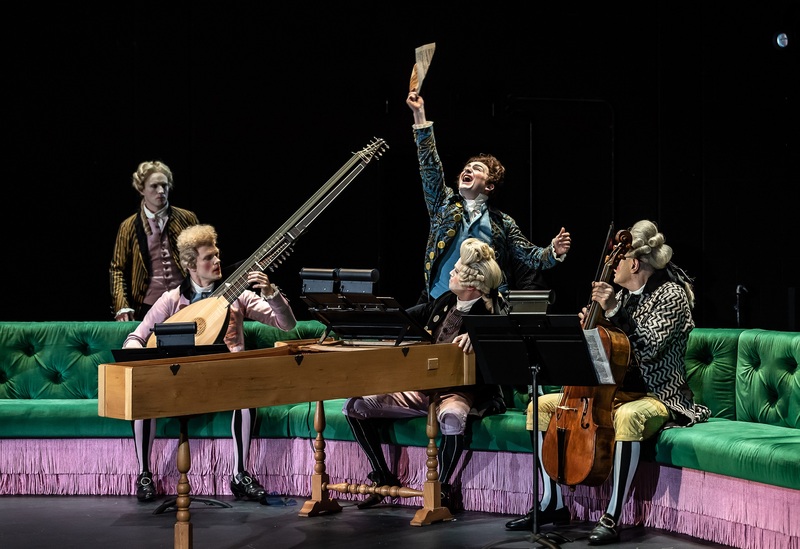 Just as I came to terms with how wonderful this was, three members of the orchestra tripped on stage, similarly dressed: an archlutenist (Jonas Nordberg), cellist (Mark Caudle) and harpsichordist (Oliver John Ruthven) in rolled wigs, Nordberg’s daringly frizzed on the top. All were wearing striped stockings and I was glad to see that they’d also been provided with teacups. The entire cast looked terrifically supercilious, staring out into the auditorium as if the plebs had stormed the palace (Patrick Terry looked especially lordly). The curved sofa was flanked by ‘basalt’ sphinxes supporting light-globes on the top: a simple set, but one that proved to be very effective. The cast combined familiar faces with one new name, but there genuinely wasn’t a weak link among them. The fabulous acoustics of the new Linbury probably helped, but everyone’s singing was crisp and clear: I should note that, due to the English translation, there were no surtitles, but I managed to follow without any trouble. I did overhear a couple of people saying they couldn’t make out the words, but this may have had something to do with the average age of the audience: as far as I could see, I was the youngest by about twenty years – which is a bit of a shame, as this is exactly the kind of mad, joyous production which would captivate young newcomers to Baroque. And, even if you couldn’t catch every word, the acting was so expressive that there was absolutely no doubt what was going on, or who was in love with who, at any given point. The production team did well to find singers who are also vivacious and talented actors. 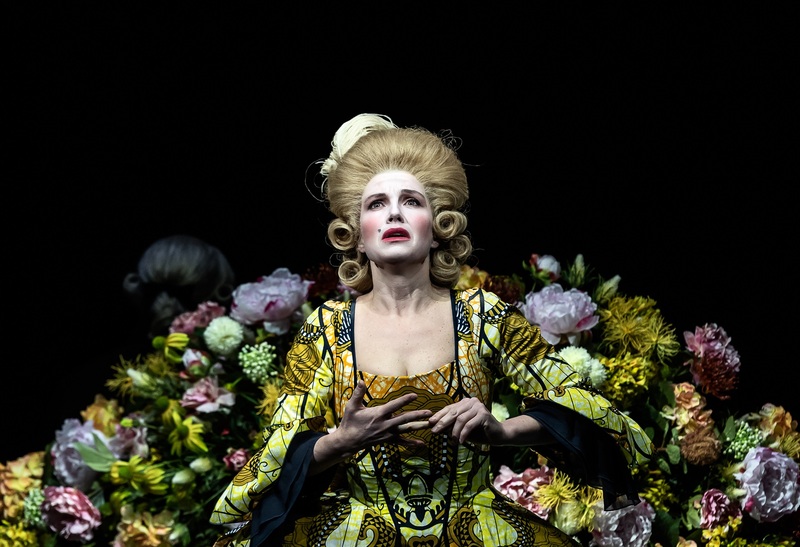 Claire Booth was the emotional heart of the story as Berenice, who for most of the opera is a rather Elizabeth-I sort of figure, prey to the same desires and longings as the rest of us, but condemned to have to balance the national good with the personal. ‘Politics and Love,‘ she sighs at one point towards the end of Act 1. ‘Two mighty tyrants,’ agrees Selene, whose position as the heir to the throne presumably places her in a similarly difficult position. I’ve seen Booth once before, as Romilda in the Early Opera Company’s Xerxes back in 2016, and admired her then even though at that time she was singing with a cold. In Berenice she was on full form and she was superb, her voice rich and melodious with a ringing top line, her performance laced with wounded dignity and hidden vulnerability. There’s such a sad moment when, after realising that Demetrio has been stringing her along, Berenice simply collapses in on herself in a gorgeous aria accompanied by a bare smattering of strings and the evocative strains of a lonely oboe (played by James Eastaway). Offering her state ring to Fabio, she says that she will marry whoever Rome sends – this is a woman who’s tired of being in control, tired of fighting her battle without any support, tired of hoping and being disappointed yet again. It’s all the more powerful because Booth is so commanding the rest of the time. Most of her arias are grand and defiant (Such a great and wicked traitor! involves her storming around threatening Demetrio with a sword, and finally giving that up in favour of a well-placed kick and a headlock). However, she’s given a breath of fresh air in Act I’s She is silent, in which she cheerfully encourages Arsace’s suit of Selene by saying that her sister is simply overwhelmed by admiration for him – while all the time beaming at Selene’s dagger-glare. This was light and playful: a moment of mischief for the overwrought queen, offering a rare glimpse of who Berenice is behind the crown. Another lighter moment is Always gentle, tender and loving in Act 2, where she tries to mould Demetrio into her ideal lover: not a simpering yes-man, but someone who will meet her passion, character and obstinacy with his own. Obviously she’s barking up the wrong tree, because Demetrio can’t offer her the love she needs so badly in any form; but it chimes with the modern theme of self-confident women wanting both respect and romance. As the would-be traitor Demetrio – whose misguided attempts at a coup are ultimately forgiven and put down to nothing but a surfeit of love (because, opera) – James Laing proved to be a forceful and impressive presence. The only mention I can find of him on my blog is his performance as Nerillus in Ormindo in 2015, although I’m sure I’ve seen him since. I don’t remember him being quite as powerful as this, though. He sounded marginally more comfortable in the gentler, more nuanced arias, such as If I can’t have my lover (Act 2) than in the barnstormer Arise Furies! (if in doubt, call on the Furies when angry), probably because the latter demanded the kind of full welly that’s very, very hard for countertenors – but this isn’t a criticism. His voice is now very beautiful: secure in its lower range and with a soft, full top range. I was also impressed by his multitasking skills, managing to continue singing (No my heart could not endure it) even while semi-ravishing Selene (‘Careful, man,’ I scribbled in my notes, ‘her wig’ll fall off’). Indeed, one of the things that really struck me about Laing – and which I see I mentioned even in Ormindo – is his acting ability. Then it was all about physical comedy; now, in Berenice, it’s about Demetrio’s pride, his covert love for Selene, his torment and, in some especially powerful moment, his temper. And it’s interesting that, in most Baroque operas, being dragged off to prison in chains means that you must be the misunderstood hero, while Demetrio is very clearly an antihero; yet he still gets the best arias for the male characters. Yes, they may steal my freedom is another fiercer aria, complete with lots of physical activity (escape attempts, running around, etc. ), and rounded off with a very nice, strong ending during which Laing’s voice rang out beautifully around the auditorium. His voice also matched very well with Booth’s for the end-of-Act-1 duet If my crime is that I love you with Berenice, which he performed with the look of a man who’s trying not to offend his queen, while knowing all too well that he’ll get an earful from Selene later on. A wonderful blend of vocal and dramatic talent. Rachael Lloyd was also familiar from the 2016 Xerxes, where I felt she could have done with a bit more dramatic vim as Amastris; but here she pulled out all the stops for a performance of frustrated longing (and there were some excellent reaction shots: Selene doesn’t get all that many arias, but she does get to react a lot to what’s going on, and Lloyd took full advantage of this). It’s easy to believe that Selene has spent her whole life watching Berenice get whatever she wants; and at last she’s trying to make a stand, by keeping her beloved Demetrio – the one thing she really wants – out of her sister’s clutches. Selene can’t say what she wants outright, so she has to use all her wiles and intelligence to manipulate her way to happiness, even if that means taking advantage of Arsace’s infatuation in her subtle aria Is your love really so weak and feeble, at the end of Act 2. Yet this isn’t, like Xerxes, a simple clash between a virtuous sister and a flirtatious madam. Both Berenice and Selene have their flaws and their virtues, and Handel allows them both the dignity of deeply-felt emotions. 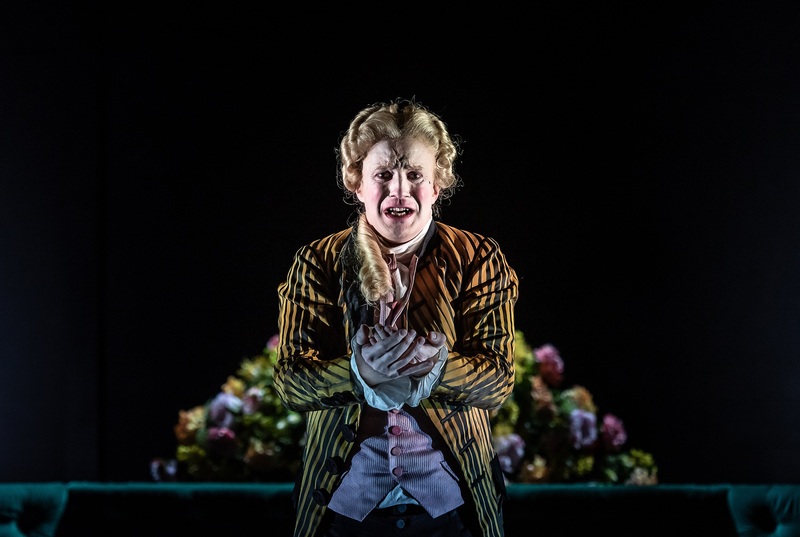 Freezing and burning and fearing the future in Act 1 allows Lloyd to make the most of her expressive mezzo, conveying the sheer horror that Selene feels on hearing that Demetrio may be put to death (by committee) in order to free up Berenice’s heart for a political marriage. Earnest, determined and loyal to her heart if not entirely to her queen, this Selene is just a woman trying to assert her right to love in a world where she’s always felt second-best. Fabio and Aristobolo are ‘elder statesmen’, trying to keep everyone’s mind on politics while the bright young things are haring around falling in love with one another. When I last saw Alessandro Fisher, he was playing the womanising Count in Salieri’s School of Jealousy, so it was a definite change of tack to have him as an exasperated diplomat. Poor Fabio is doing his best to make peace in an impossible situation. ‘I am confused,’ he confesses at last, hearing that despite all his efforts Selene has been promised to Arsace, thereby stuffing up Rome’s plans from every angle. Berger has wonderful chemistry with Stucker as his young and rather innocent ward Alessandro. Probably his best moment was Take the bee in Act 1, where Fabio tries to explain political marriages to the idealistic young man. Don’t worry about being in love, Fabio tries to explain. Be like a bee. Look for nectar, not pretty flowers. Do bees care about how pretty flowers are? ‘Is it better to love someone close to your heart or someone useful?’ he demands at one point, but he surely knows that he isn’t going to get through. Alessandro is young enough to be completely stubborn and romantic and – judging by his wide-eyed look during the bee aria, he probably needs a few more fatherly talks about bees – not to mention birds too. 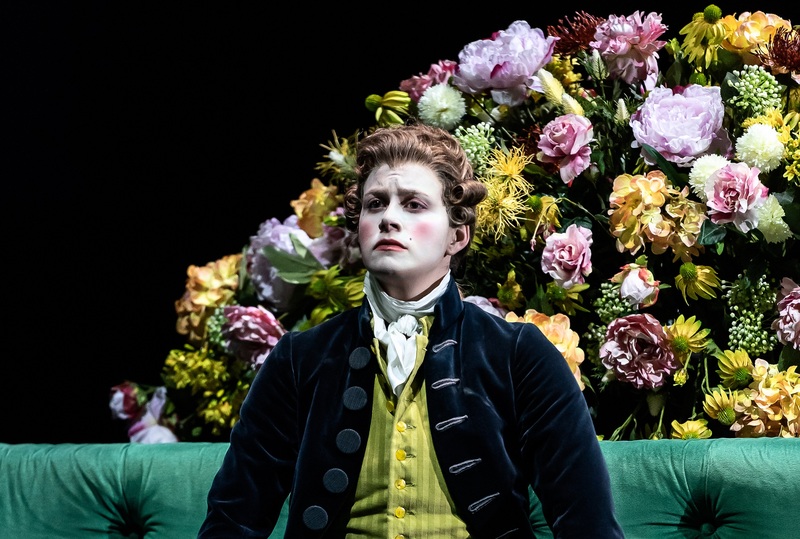 I remembered William Berger from his turn as Zoroastro in Handel’s Orlando, although I’d never have recognised him as the fussy Aristobolo. He only has a couple of arias here and, while the first one – Death is sending our way – showed off his crystal-clear diction, it didn’t really give Berger the chance to make the most of his vocal colour. Fortunately, he had another innings in Act 2, with a very timely aria titled Without politics this world would hold much more kindness. ‘Politics is cursed’, he observed at one moment in the recitative and the audience chuckled ruefully: tell us about it! Yet, despite this world-weary streak, Aristobolo is also a kindly character, prepared to sacrifice Demetrio for his country but also ready to comfort Selene when she’s distressed about it. You get the sense that, in the absence of the young women’s father, he’s taken on a kind of paternal role. However, the two roles that particularly stuck in my mind were those of Alessandro and Arbace. The former is the real hero of this opera, in the sense of being overly noble and self-sacrificing; and Jacquelyn Stucker gave a splendid performance, her voice richly coloured and her coloratura apparently effortless. I thought she was fabulous last time I saw her, and that opinion hasn’t changed. 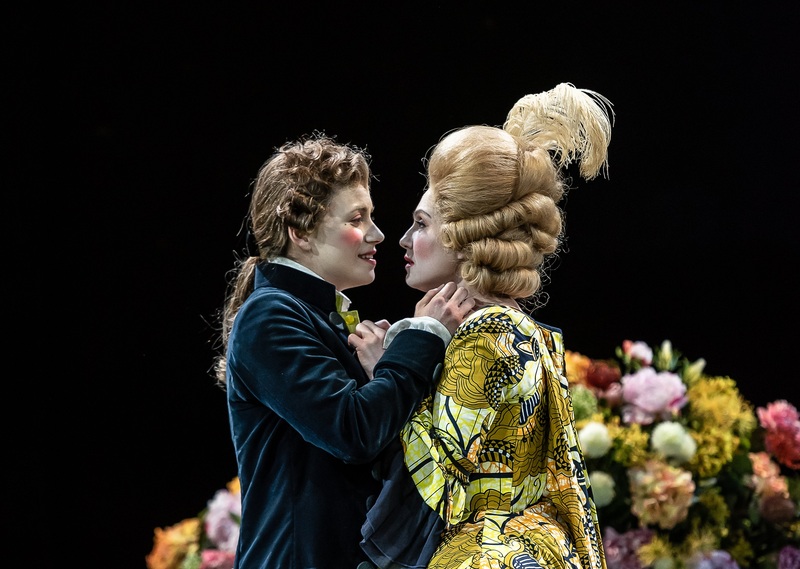 In Alessandro’s first aria, just after meeting Berenice, Stucker channelled boyish glee, like Cherubino let into the cream. ‘She will be mine!’ Alessandro proclaims, overcome with enthusiasm, without taking into account that Berenice currently sees him as nothing more than a Roman spanner in the works. The triumph of hope over experience fades, and Alessandro grows up, beginning to see that everyone around him is trying to force someone else into loving them. He decides he’ll be different: he will only accept a marriage founded on love. Not only that but, as he announces in his second aria, If my loved one loves another, he is also dear to me, in which I was struck by not only by Stucker’s gentleness but also her supreme control during a very poignant and delicate piece. Alessandro is supremely noble, to the point of actually sending back the seal-ring that Berenice sends to Fabio, promising that she will marry whoever Rome chooses. Rome obviously chooses Alessandro, but Alessandro himself isn’t willing if Berenice doesn’t actively want him; and so he asks Arsace to take the ring (and the choice) back to the queen. (Am I the only one who wondered whether, technically, this meant that Berenice had to marry Arsace – since he was the one who turned up with the ring?) Alessandro’s continued self-sacrifice exasperates Fabio to bits; but it eventually fascinates Berenice enough that she decides to take a chance on the young Roman after all (in the last five minutes, naturally, conveniently removing all the problems that have driven the rest of the plot). But the star of the show was Arsace, sung by the American countertenor Patrick Terry, the only cast member I haven’t seen before. He completely and shamelessly stole the show with his energy, his panache and his comic timing, and he almost single-handedly elevated this from being a fine serious opera into an evening of delicious fun. Arsace could be a very minor role – he’s only there as a temporary rival for Demetrio – but, because all the cast were on stage all the time, he becomes a key character in this particular production, reacting to other events and generally behaving like a court jester. Technically, I should say that Terry has a fine voice: he must still be very young, but he has already developed that underlying vocal security which is absolutely vital in this voice type, and which I’ve often heard lacking in younger countertenors elsewhere. Yet the brio of his physical performance meant that I probably didn’t focus quite as much on his actual singing as I should have done: his first aria, Like an abandoned baby, was full of puppyish enthusiasm (in the fact of complete disdain from Selene) and, in A battle in my heart in Act 2, Arsace hurtles around the stage causing chaos while Aristobolo tries and fails to control him. In some circumstances, this fooling might have been trying; but here it was just enormous effervescent fun. There’s definitely star quality there and I can’t wait to see how Terry develops and how he fares in more serious and larger roles. So there we go: the director Adele Thomas has triumphed with a magnificent cast, a simple set, and a story rendered highly accessible. Fine physical direction blends with the judicious, lively translation adapted from Salvi’s original by Selma Dimitrijevic. The costumes, designed by Hannah Clark, are over-the-top and full of Baroque flavour, while featuring large, colourful modern patterns – and it was a nice touch to dress the Romans Alessandro and Fabio in subtler, more understated clothes, like two Englishmen visiting the extravagant court of a French-style kingdom. Everything just worked for me, coming together in a rare synthesis of brilliance. I really, really hope that the Royal Opera have plans to film this and release a DVD. Their production may annoy purists for its English translation, but I thought it was a fabulous way to encounter Handel’s opera for the first time, and it’s the perfect way of showing that productions of Baroque opera can be sensitive to their origins without being fussy, pedantic or dull. If it were possible to see it again (it’s sold out), I would, and I’d take friends. 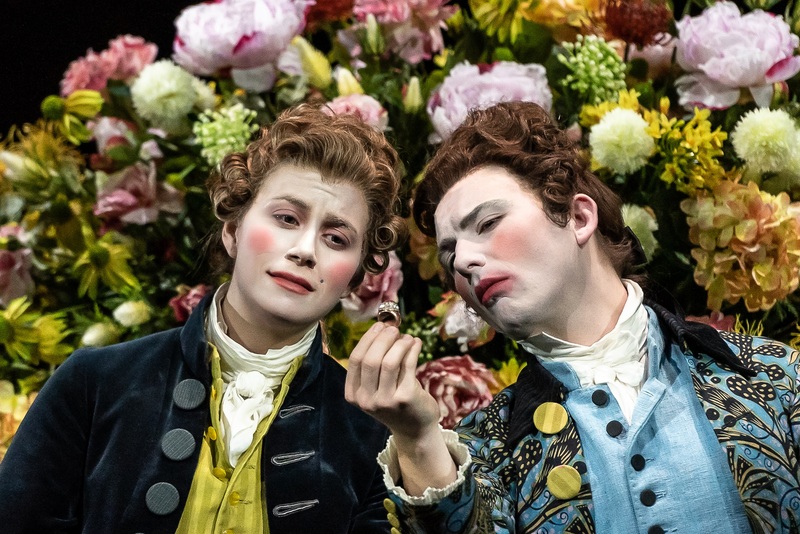 This was a smashing opening to my Handel Festival experience this year and I hope it gets the critical praise it deserves, both inside and outside Covent Garden. Bravo to the whole team, who are doing so much to spread the spirited humour and joy of Handel’s storytelling. This is a treasure of a production and I’m hugely privileged to have seen it.